LOCATION.--Lat 39°29'44", long 75°04'37" referenced to North American Datum of 1983, Pittsgrove Township, Salem County, NJ, Hydrologic Unit 02040206, on right bank just upstream from bridge on Almond Road (County Route 540), 0.6 mi east of Norma, 0.8 mi downstream from Blackwater Branch, and 2.9 mi west of Vineland. PERIOD OF RECORD.--Continuous-record discharge station, July 1932 to current year. Monthly discharge only for December 1933, published in WSP 1302. REVISIONS HISTORY.--WSP 1382: 1933. WDR NJ-79-1: 1967(P). WDR NJ-82-2: Drainage area. WDR US-2007: 2000, 2003. GAGE.--Water-stage recorder with telemetry and crest-stage gage. Concrete control since Dec 27, 1937. Datum of gage is 46.94 ft above NGVD of 1929. REMARKS.--Records good, except for estimated discharges, which are fair. Occasional regulation by lakes and ponds upstream. Discharges above 3,000 ftÂ³/s from rating curve extension on basis of logarithmic extrapolation. EXTREMES FOR PERIOD OF RECORD.--Maximum discharge, 7,360 ft³/s, from rating curve extended above 3,000 ftÂ³/s by logarithmic extrapolation, Sep 2, 1940, gage height, 8.72 ft, peak was highest since at least 1867, when Union Lake Dam was built in Millville; minimum discharge, 20 ft³/s, Aug 15, 2002. PERIOD OF RECORD1.--Water years 1953, 1962-63, 1965-97, 1999 to current year. 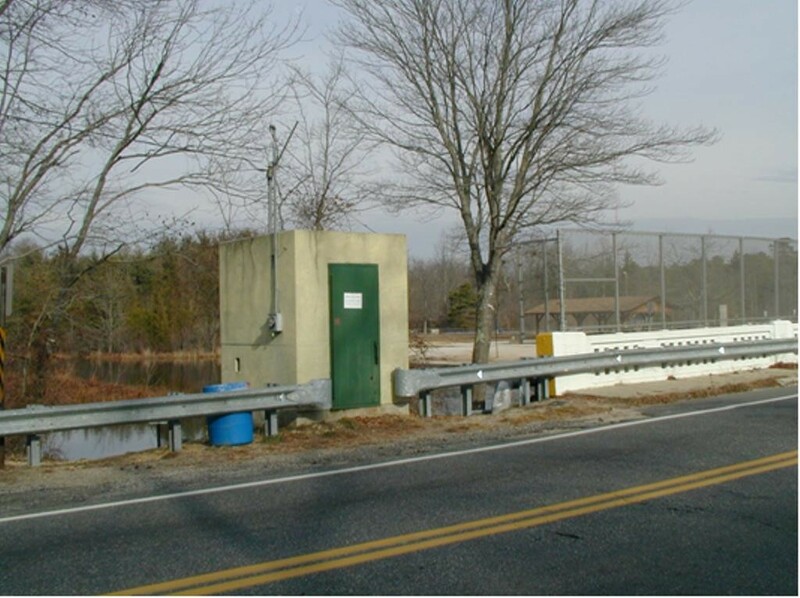 REMARKS1.--Discrete water-quality data were collected as part of the New Jersey Ambient Surface-Water-Quality Monitoring Network. National Weather Service flood stage for this gage is 4 ft.